Longing for a retreat which is lively and lazy both at the same time? Spice Village Resort has got to be your landing-place. Nestled in the Thekkady village of God’s Own Country- Kerala, this resort is a perfect getaway for those desirous of escaping from the exhausting and humdrum life of the metropolitans. Situated amidst cardamom hills and in vicinity of the Periyar Tiger Reserve, this resort is ideal for all kinds of travelers, whether they be seasoned luxury travelers or business trippers. As soon as you step inside the resort, density of greenery and taintless location grab your attention. Simplicity would have never ever looked as gorgeous until you have seen the interiors of this resort. Sheer comfort, delight and warm hospitality take your mind over! Savor the authentic Kerala cuisine at the restaurant or snacks at the Tiffin room, both being equally tempting. And not to forget the environment friendliness of the people here which is really worth a mention and appreciation. Jungle Safari to the Periyar Tiger Reserve in company of a knowledgeable guide who takes you through the best routes and helps you catch glimpses of the rare wildlife, Tigers being one of the many wild animals thriving here. Introduction to Spices given by qualified naturalists and chefs so that you can take home some authentic information about profusion of spice wealth in this zone. Pepper Vine Tour is organized two times every day. Lasting for about an hour, the tour stresses upon importance of using and conserving spices. Exploring nature, walking around the property and enjoying glances at the in-house plantation. 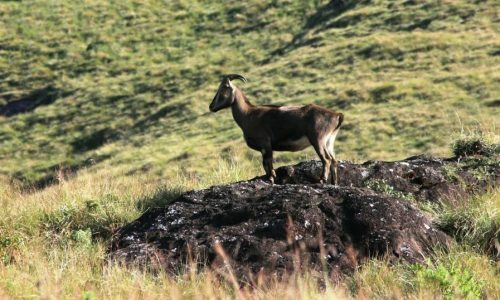 Wildlife slide show focuses on locally found wild biodiversity, its history and native community tourism. See in making, hand-made paper created by recycling waste paper inside the resort premises itself. Sari demonstration by a staff member who explains the art of draping the classical Indian attire – a Saree perfectly. Yoga and Meditation lessons are held every morning to keep you active and healthy even while on a vacation. Classical Dance performances every evening. 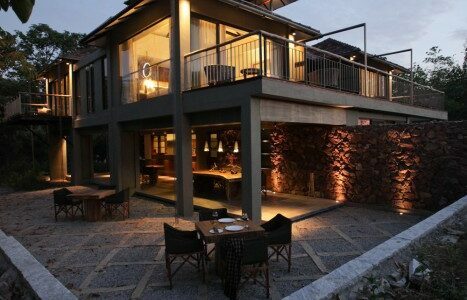 The resort subsumes 47 Standard Villas and 5 Deluxe Villas, all of them equally intriguing in look and lavish in quality. These are classical cottages with roof thatched with elephant grass and look like a typical tribal huts whereas upon moving in, what you find is a modern, lavishly done up suite. All the necessities and luxuries of guests have been carefully kept in mind during thoughtful creation of these exclusive accommodations. The amenities provided en-suite include ceiling fan, mini bar (chargeable), coffee maker, packaged drinking water, safe locker, direct dialing telephone connection, attached bathroom with continuous supply of hot and cold water, essential toiletries and a hair drier. Air conditioner won’t be missed as the breezy and pleasant weather takes its place while the television is replaced by the breathtaking surroundings and chirping birds. 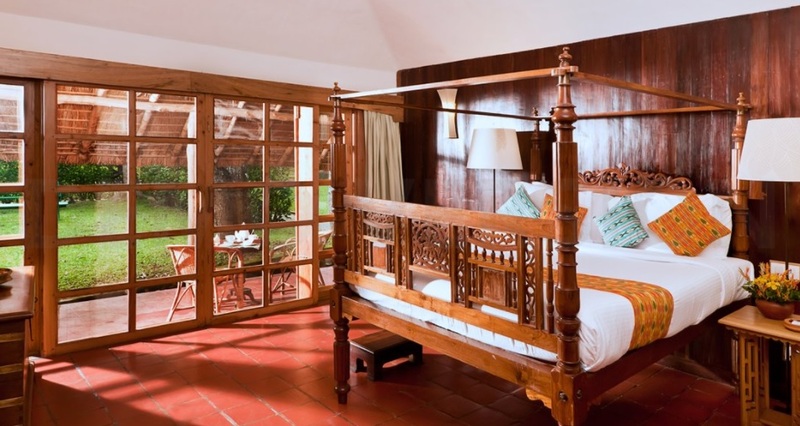 The Spice Village Resort is a self contained and certified organic resort located close to Periyar Tiger Reserve. The property has been recreated inspired by the mood of the local tribal community, and each cottage has been designed amidst a landscaped spice garden. There are some great experiences to choose from, a nature walk in this 35 acre plantation, pluck peppercorns on a day trip to a neigboring spice plantation, ride on a bullock cart across the countryside, evening cookery classes etc.